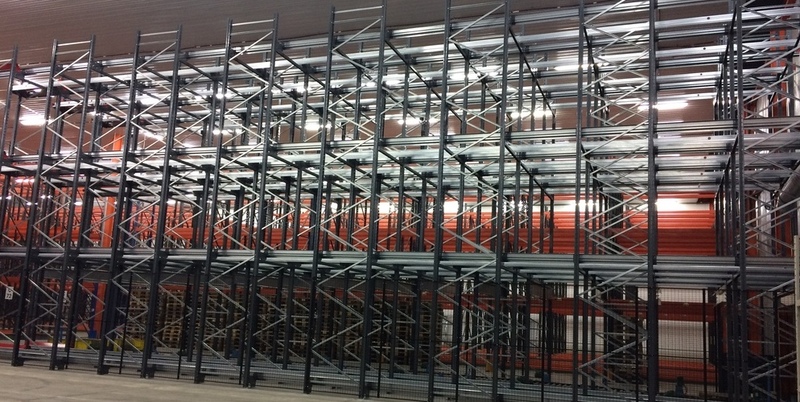 For clients for whom ultra-high density pallet storage is of greater importance than permanent access to each and every pallet, a shuttle racking system can be the answer. Although conceptually similar to drive-in and pallet live systems with regards the rack structure, they are worlds apart with regards to the functionality, speed and control that shuttle racking can give. The concept is based around the fact that the fork lift never enters the racking, individual pallet movements being conducted on intelligent RF guided shuttles that operate on rails millimetres below each pallet. Once the shuttle had been deposited by the fork lift in a lane it works autonomously without further intervention until its finished its programmed tasks. Communications are by RF or WIFI, with programmable software interfaces. The shuttle lifts the pallet on a smooth hydraulic lifting system, with jerk-free movement. It detects the pallet using lasers, positions itself under the pallet, lifts the pallet clear of its holding rails by just a few millimetres and then performs the required task, depositing the pallet gently where required. 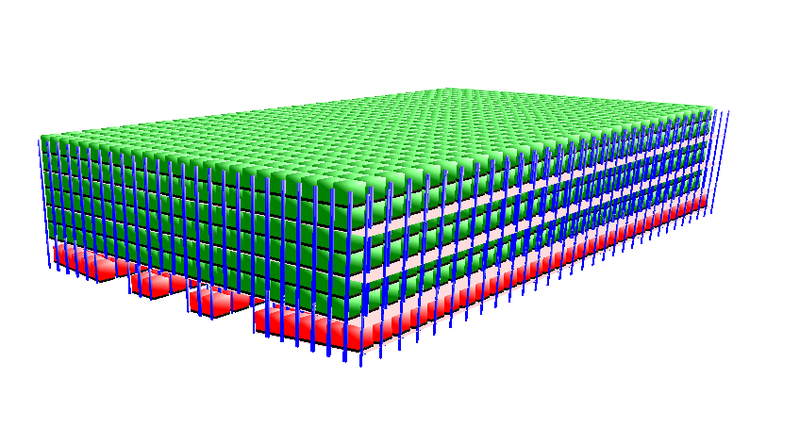 The considerable density of pallets per cube that can be achieved through the removal of conventional racking aisles. The fact that the shuttle movements can substantially reduce the number of fork lift trucks needed for an equivalent number of pallet movements. 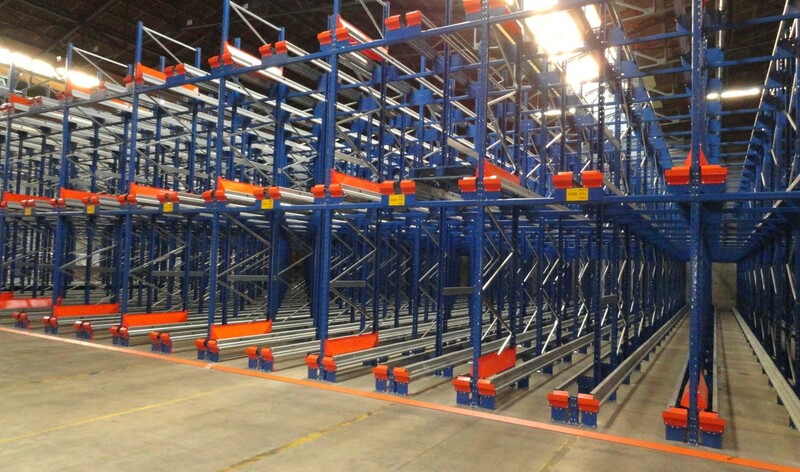 Unlike drive-in racking, every pallet face can be accessed individually, from both sides of the block if required. Costs for the rack structure itself can be similar to drive-in (plus the cost of shuttles themselves, but these replace FLTs in the business case). Unlike pallet live, there is no gradient required, (typically 4% on pallet live), so there is virtually no limit to the length of runs that can be achieved, only the required speed and access to goods limit run length. Cost for the racking structure can be one third of the cost of pallet live (plus the cost of shuttles themselves, but these replace FLTs in the business case). The block can be operated FIFO (i.e. fed one side, taken the other) or LIFO (put and pick from the same face). In theory, individual runs of pallets can be configured for FIFO/LIFO if your WMS would support this, with varying number of pallets in the depth in LIFO if required. One block can be operated as LIFO from both ends. No other system offers you this type of flexibility or future-proofing with regards to configuration. Considerably less damage to rack with reduced FLT movements. Less aisles to manage MHE/personnel safety issues within. There are really no limits other than your building size and MHE capability on the width, size and height of a block of a shuttle racking system. This high density pallet storage system can handle heavy pallets up to 2 tonnes, and pallets stacked 2 high, if safe to do so, as movements are horizontal and stable, thus potentially halving pallet movements within the system. Shuttles can be configured to operate above an existing pick operation as shown in the concept here, thus maintaining pick footprint while using the overhead volume as super-dense storage. NSI understand that such installations tend to represent a considerable investment. You need a committed partner who will work with you to develop the right design and the robust business case for capital approval. NSI are that partner. Call us for a free initial consultation.